A long, low peninsula between the Atlantic Ocean and the Gulf of Mexico. Florida is bordered by Georgia and Alabama. Pensacola, Florida is located on the beautiful Gulf Coast. Best know as "The Emerald Coast of Florida", home of the World's most beautiful beaches and home to the Navy's Blue Angels. Pensacola is also known as the City of Five Flags. Famed beaches, such as those at Miami Beach , Daytona Beach , Panama City Beach, Destin, Ft. Walton and Pensacola Beach. These are just to name a few. 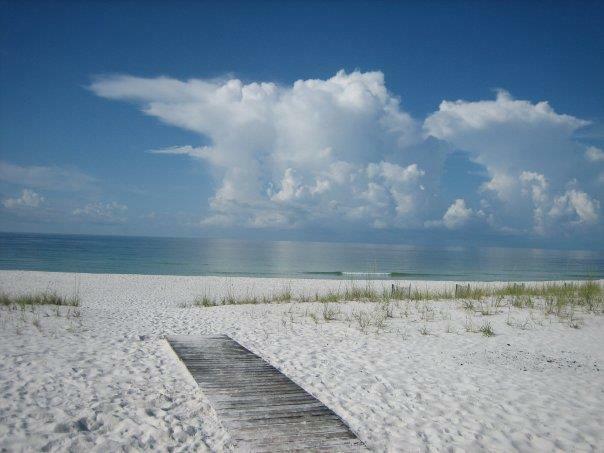 The beautiful Emerald Coast beaches are Florida's best kept secret! They attract many vacationers with their sandy white beaches. Florida has more than 4,000 sq mi (10,360 sq km) of inland water and with the sea readily accessible from almost anywhere in the state, Florida is a fishing paradise. Florida is a great place to vacation and/or live! If you choose to live in paradise, you will never want to leave home.